If you love grilling, you have seen the new thing, ceramic grills. There are clubs and groups forming for every niche version of these things in the same way that barbecue teams pop up at the same events every year. It takes a passionate person to stand outside every night and stoke the fire for supper, and lucky for me, I am one of those people. Now, if only I could find my local bbq besties. 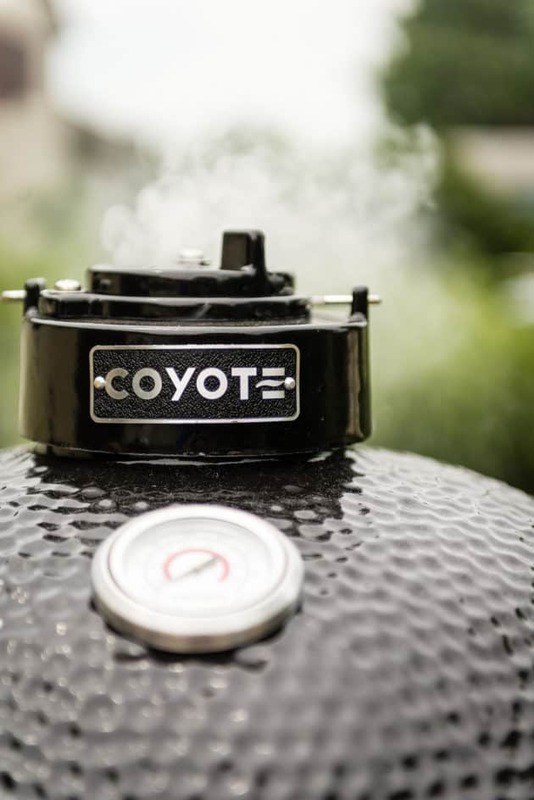 Today I am checking out the new Coyote Asado Smoker and sharing my review and thoughts on the product with you. Id love to hear your thoughts as well – and make sure you check out the giveaway happening through Labor Day for your chance at one of these bad boys yourself! This post was sponsored by Ferguson Bath, Kitchen, & Lighting Gallery in conjunction with the O SAY CAN YOU SEAR Giveaway. However, as always with GirlCarnivore, the thoughts and opinions are all my own. Now grill baby. OK, all your buddies are popping up with these ceramic style grills and they have your attention. 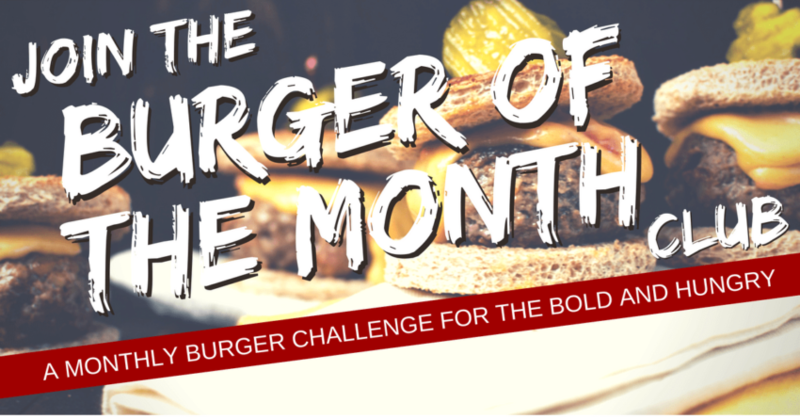 From long smokes to quick burgers, you want to know what all the hype is behind these heavy bulky beasts. Are they really worth it or is it just the next trend in outdoor cooking before we go back to the classics? Well, first, ceramic style cooking has roots. These cookers are based on Japanese cooking style cooking pots called “kamado” and even older, Chinese style cookers along with ‘clay pots’ that have been discovered globally as cooking methods. The design uses heated fuel and the sturdy clay ways to keep in heat and lock in moisture for even long cooks that allow for a diverse selection of meat cuts to become fork tender over time. So, in reality, this is isn’t new to the American BBQ scene. Let’s call it a renaissance (which sounds far more romantic anyway). Secondly, these grills are no lie – bulky, massive beasts. The Coyote Asado Smoker came on a palette all to itself and in a wooden framed box. For the price point, that is perfect. After carefully disassembling the box, I got to assembling the grill. It now sits out on the 12×12 grill deck as part of the collection. It’s thick and durable with it’s wheel locks in place, and I am not worried about it breaking down in the weather over the years. This is the kind of thing you are going to really love over the years and will probably customize a wooden table or frame to allow for ease of prep nearby. Third, these are investment grills. It’s easy to get lured in by the new and shiny every year. I do. 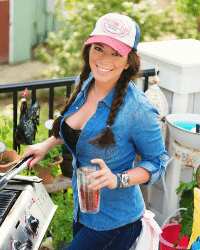 I love that I have a grill for just about everything on my deck, and I make sure to utilize all of the time just to keep me sharp as I continue to educate myself in this delicious barbecue journey. But there are grills that you know you are going to have for a year, fads you are going to try, and some that are just going to be here forever. I won’t ever give up my kettle style grill. For steaks and burgers, it’s hands down my favorite tool for the job. A gas grill is perfect for when you need quick, reliable heat. And the Coyote Asado Smoker now here’s your weekend warrior. The investment in a robust tool that you are going to learn to use and refine your smoking prowess on as you delve deep into upping your barbecue game. Is a ceramic grill for you? Learning Curve: Lighting the fire. Once you get the temp set in your ceramic cooker, it will stick. But, figuring out just how much fuel you are going to need, or just how much air flow you need to keep things going, is going to take a little practice. 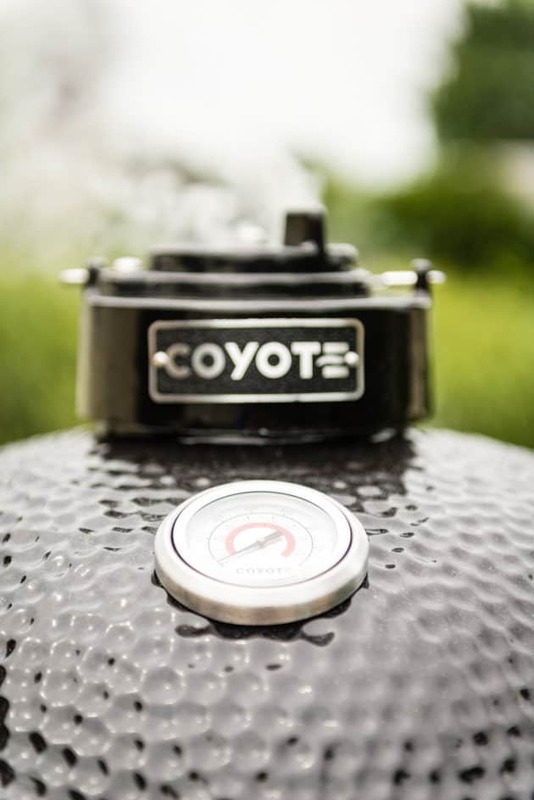 WHO should look at a Coyote Asado grill? The pure grill master. All skill levels apply, but only the dedicated should really stick this out. Getting the new Coyote Asado fired up to test out. Excited to partner with @fergusonshowrooms to give this new baby a run for the money! Have a ceramic grill or want one? 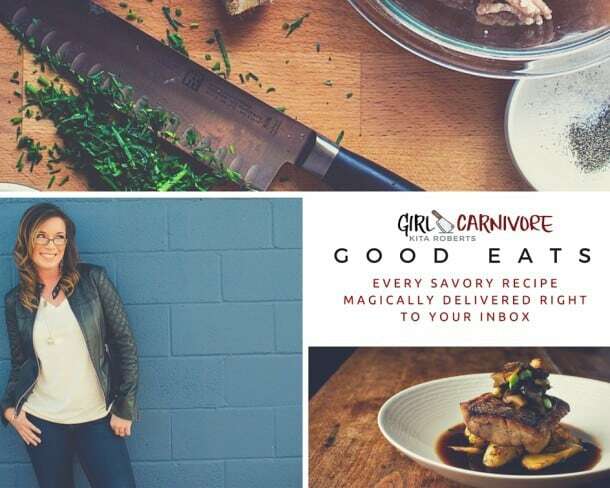 I would love to hear your feedback on how much you love yours, what bonus attachments you have enjoyed, and your best ceramic grill recipe in the comments or on facebook! 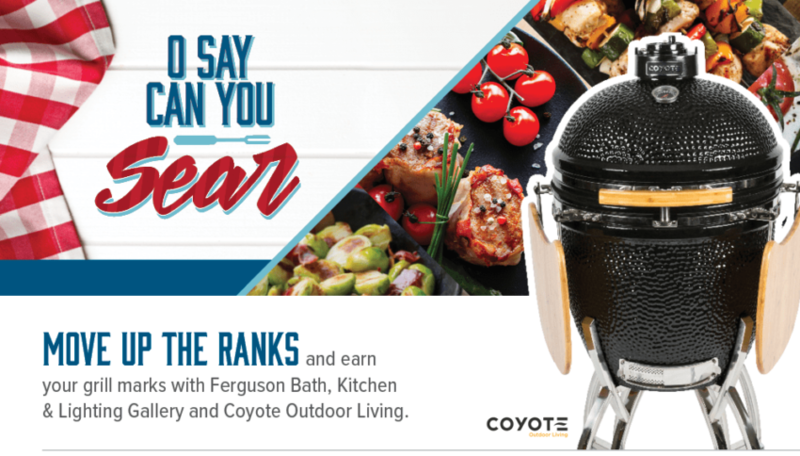 Don’t miss your opportunity to test out one of these babies at home with the O Say Can you Sear Giveaway!